Marketplace lending platform P2Binvestor (P2Bi) has secured more than $17 million to fund its growth mostly for its new bank partnership programme. 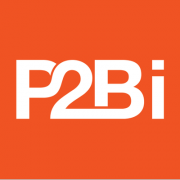 This funding marks the company’s fourth round of funding primarily led by angel investors, and brings P2Bi’s total equity raise to over $13 million since 2013. It will allow P2Bi to continue to foster the connections between banks and SMEs, enabling them to expand its programme to more banks. P2Bi offers crowdsourced, asset-secured lines of credit for SMEs. The capital raised, in a combination of debt and equity, will help the firm expand the alternative ways it offers access to capital, and allow community banks to lend to these firms than don’t make the cut based on traditional credit. A majority of P2Bi’s lending portfolio is funded by its marketplace, which includes banks, private and institutional investors. However, P2Bi also participates in providing lines of credit they originate, thanks to this new debt facility, which has over 20 participants providing capital. According to P2Bi, the diversity of funding lowers the overall risk and allows the company to both expand and participate in their bank partnership programme. The bank partnership programme was launched in October 2017 with the participation of New Resource Bank, a part of Amalgamated Bank. Through this, New Resource has already closed seven loans worth over $16 million. It offers SMEs a way to access capital while allowing banks to increase their addressable market and improve their conversion rates. The firm defines it as “the middle ground between direct lending and bank loans”.